Tomorrow, Wednesday (5/27), get your dvr's ready because 2 good shows will be featured on tv. 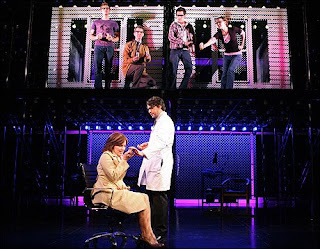 The cast of Next To Normal will be making a guest appearance in The View (11 ET/10 CT). Yay! They're getting national exposure! And on PBS at 8 pm ET, Great Performances will feature In The Heights - Chasing Broadway Dreams. It's a behind the scenes look at the journey of In The Heights to Broadway and Tony success. I've enjoyed the other PBS behind the scenes features of Finding Billy and Grey Gardens - From East Hampton To Broadway so I'm also excited for this one.